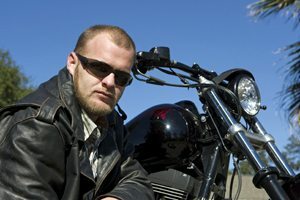 When Do I Need Motorcycle Accident Claim Advice from an Attorney? 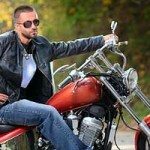 You are here: Home / Motorcycle Accident Attorney Blog / When Do I Need Motorcycle Accident Claim Advice from an Attorney? When you are involved in a motorcycle accident, it can be an unnerving experience, and you may not be sure about who to contact, or whether you need motorcycle accident claim advice from a Pennsylvania motorcycle accident lawyer. 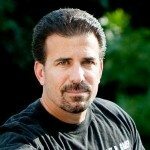 As a motorcycle accident attorney, I am available to answer any questions you have, and give you a free consultation regarding your case. As my client, you will get the best possible motorcycle accident claim advice , honed through years of experience in motorcycle accident settlement negotiations, which will give you peace of mind that your accident situation is going to be resolved. If you are not injured as a result of the accident, you probably don’t need a lawyer to provide representation. The physical damage to the vehicles will be handled by the insurance companies involved. Accidents where there is relatively small amounts of damage don’t require the accident claim advice of a lawyer. An exception is if there is a significant amount of damage to a highly specialized custom bike. In the case where you are the defendant, that is, you have been deemed to be at fault, your insurance company will represent you and you do not need to hire a lawyer yourself. Sometimes a situation arises where the other party is uninsured and they are claiming you are at fault for the accident. When their claim is false, and you are not actually at fault, you can benefit from having a consultation with a motorcycle lawyer. If you have been injured as a result of your accident, this is a case where you will benefit from having a lawyer. In that case you are the plaintiff, and you are seeking to recover a settlement. A lawyer will handle negotiations on your behalf, with the insurance companies involved. Call Pennsylvania motorcycle accident lawyer Lee D. Gaber, Esquire at 888-292-5352 (888-CYCLE-LAW) before speaking with any insurance company representative.